While widespread deployment remains in the single digits, Gartner says that almost half (46%) of the organizations it surveyed have developed plans to use AI in the near future. Digital-first technology companies like Google, Amazon, and Facebook are leading the charge. Other industries embracing AI include retail, manufacturing, financial services, transportation, media and advertising, and the public sector. The uses and advantages of AI will expand with adoption. That’s because AI continues to “learn” as it ingests and analyzes more data, which improves its ability to uncover patterns that yield new insights. But as with any disruptive technology, with change comes challenge. As a new discipline that comprises a complex set of technologies, deployment of AI will be difficult. And then there’s the problem of cultural resistance to change – employee mistrust of a new technology and concerns that AI will take the place of workers. Consequently, an effective AI implementation will require that organizations instill a culture of information in which decisions and outcomes are data-driven. The most effective approach to implementing AI is to fold the technology into ongoing digital transformation initiatives. That’s because adoption of new tools is never really completed; like transformation, it is an open-ended process that unfolds over time. 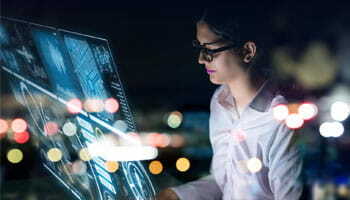 Deploying AI will require not only expertise in analytics, but also experience designing frameworks for interconnected systems and applying the right processes and investments to reskill staff. For many businesses – smaller companies in particular – there’s no need to develop proprietary AI tools. Already, a slew of third-party solutions and open-source software are making it easier to implement AI and manage costs. The first step should be a fundamental understanding of how AI can impact your business. This will entail a strategy on how the company will use AI tools and what business challenges it seeks to improve. Also necessary will be employee awareness of the technology and robust change-management capabilities to help ensure that AI is adopted across the organization. Although it’s a nascent technology, blockchain promises to help organizations achieve operational efficiencies, securely store and share data, and create or enhance data-driven services. Blockchain is best known as the technology underlying increasingly popular cryptocurrencies. But businesses are developing new tools based on blockchain technology to analyze data and reveal subtle patterns that help them improve, collaboration, planning and organizational efficiencies. In financial services, for example, blockchain can be used to make international payments, and trade stocks, bonds, and commodities. 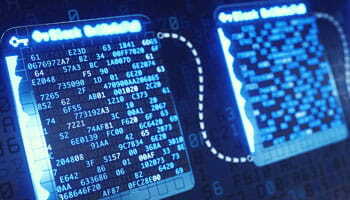 The technology can also be employed to manage assets like mobile minutes, energy credits, and frequent-flyer miles. And universities are planning to adopt blockchain to create a universal repository of student credentials. Deployment won’t be easy, however, because blockchain brings a unique set of challenges. Many organizations will need help integrating blockchain with existing IT systems, upgrading to high-performance computational and storage capabilities, and adhering to regulatory requirements. Need help implementing new technologies? At CohnReznick, we understand the complexities – and value – of implementing technologies like AI and blockchain. Our goal is to help you understand these technologies, and design and implement solutions to solve your important business problems. Our specialists work with you to create individual use cases that demonstrate the singular value of data-driven solutions. We then assess your data and design a tailored strategy for implementation and use. And to help ensure company-wide adoption, we develop programs that imbue an organizational culture of data that’s essential to success. These capabilities can assist you in understanding how AI and blockchain can transform your operations and prepare your organization today’s data-driven economy.